GHP Lot of 12 White 36''x84''x15'' Hospital Health Care Jersey Knit Fitted Sheets by Globe House Products at Doctor Joe Says. Hurry! Limited time offer. Offer valid only while supplies last. 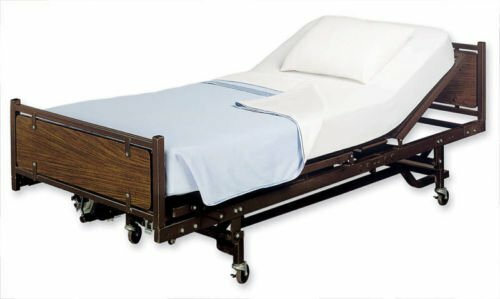 Features: These sheets measure 36''x84''x15'' and will fit all healthcare mattresses. They are made of a soft jersey knit for maximum comfort. These sheets measure 36"x84"x15" and will fit all healthcare mattresses. They are made of a soft jersey knit for maximum comfort. Sheets stretch to fit tight, and will not move when head or foot of bed is raised. These sheets are poly/cotton blended for strength and durability through repeated washings, and are wrinkle free straight from the dryer. These sheets measure 36x84x15 and will fit all healthcare mattresses.